The rising cost of fuel could force more airlines out of business, the boss of easyJet has warned. Johan Lundgren, the carrier's chief executive, said that "weaker players" face increasing financial pressure due to escalating costs, currently around 85 USD a barrel compared to 69 USD in April. 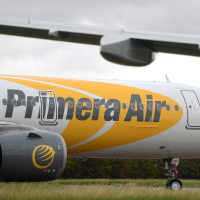 Mr Lundgren made the comments in the wake of Primera Air's collapse, which left thousands of passengers stranded and many more seeking refunds from credit and debit card companies. Speaking in Seville, at the annual convention of travel trade association Abta, Mr Lundgren said he expects more successful airlines to take over struggling carriers in the future. He said: "The fuel price being up there and perhaps continuing to increase will put some of those weaker players in a more difficult situation. "I think there will be a consolidation from the fact that we're going to see more failures." He went on: "If you are exposed to fuel in the way that you haven't hedged and you have a weakness in your model which means you don't have resilience ... then you should be worried." Norwegian has struggled to contain costs amid its rapid expansion and had around £2 billion of net debt at the end of last year. Ryanair boss Michael O'Leary recently predicted it would "go bust this winter", but the Scandinavian carrier insisted his comment has "no root in reality". Icelandic operator Wow - which operates low-cost flights to North America via its Reykjavik hub - told the Financial Times last month it is aiming to raise up to 300 million US dollars by selling "less than half" of the loss-making company through an initial public offering. EasyJet bought Air Berlin's operations at the German capital's Tegel airport in December and is in discussions about taking over cash-strapped Italian airline Alitalia. But Mr Lundgren insisted easyJet has "plenty of room to grow organically" and will not rely on mergers and acquisitions to expand. He noted that the Luton-based carrier is the second largest airline in Europe but "only has 10% market share". If you travel throughout Europe, why not check out our dedicated European travel insurance and make sure that you have the cover that meets your needs?